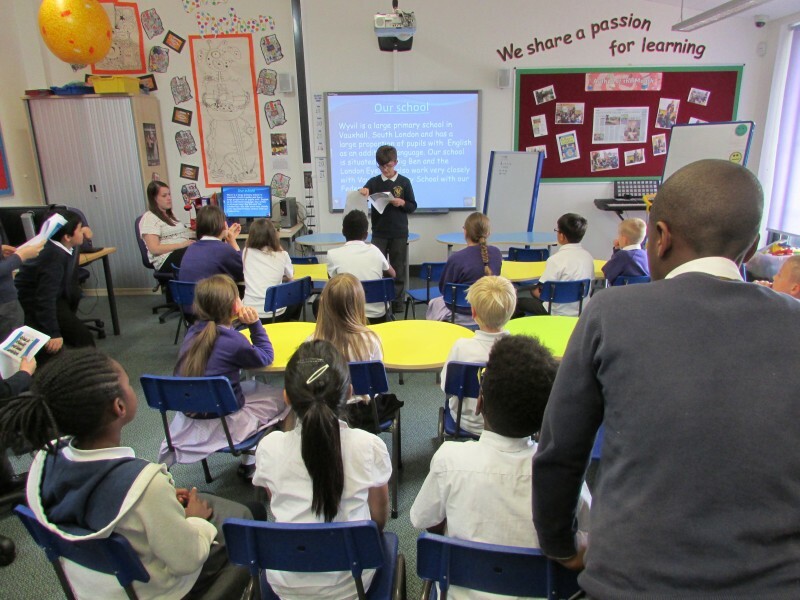 The School Council is a group of students who are elected by their class to represent the views of all pupils and to improve their school. Each year every class will elect 1 representative to be members of the school councils. 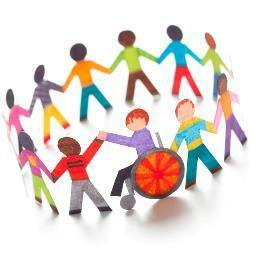 They meet every Friday afternoon in the Community Room. 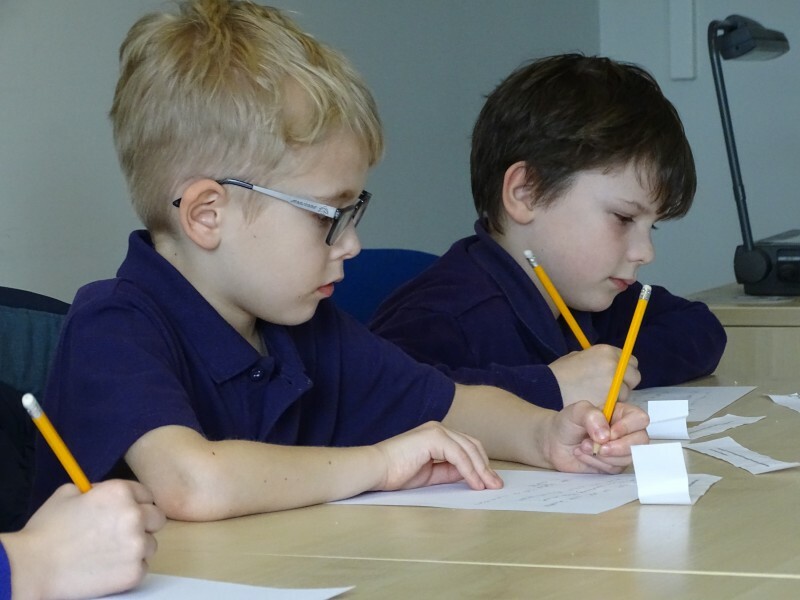 The School Council does a number of things which include, making decisions in fundraising ideas, looking at ways of improving the school playground and interviewing candidates for school. 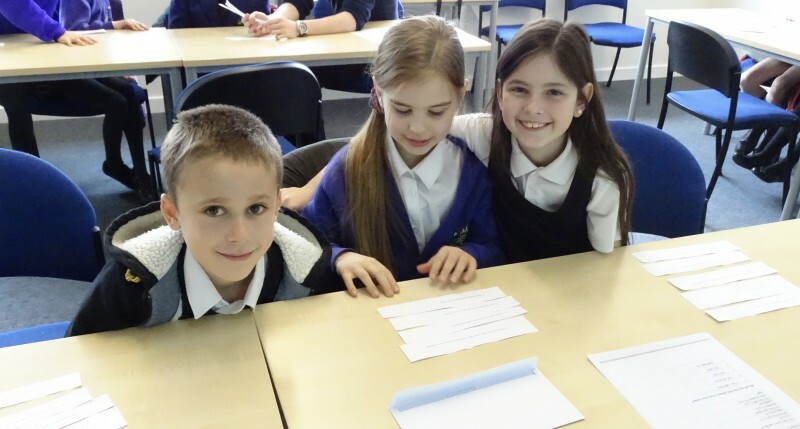 Members of the School Council will be responsible for carrying out the ideas that have been agreed. A good School Council is one that represents the view of all the students and gets things done. 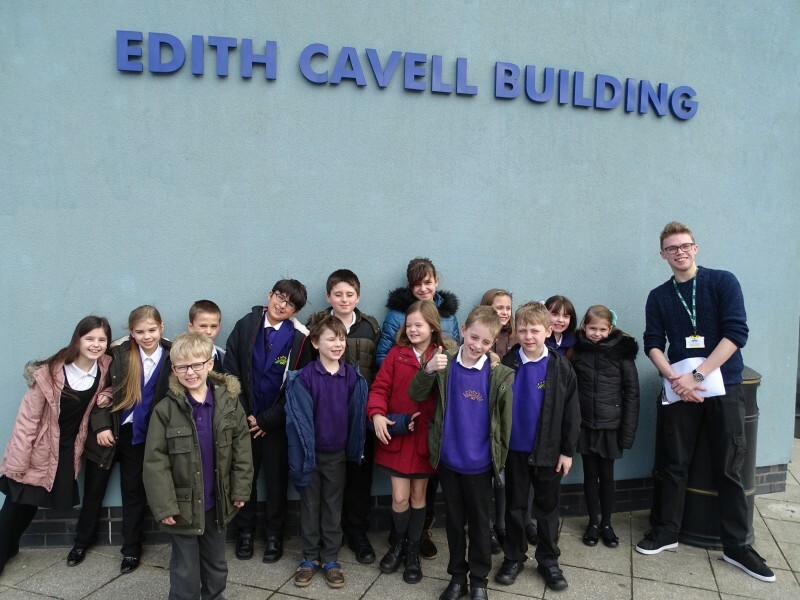 School council travelled to UEA on the 8th March to interview applicants for paediatric nursing jobs. 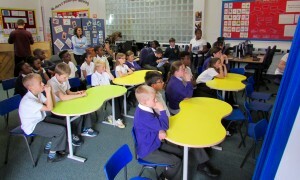 The children were superb, asking mature and interesting questions to keep the applicants on their toes! We played a pivotal role in the application process, allowing the university to see the nurses interact with children and getting our honest feedback in return. Most importantly, biscuits, cakes and juice were supplied: fuel for our Alan Sugar-style interviewing! We quickly discussed the exciting news that Wendy’s snack bar has arrived and is nearly ready to go – we’re just waiting on some tongs!! The bar should be out in the dinner hall from next Tuesday! Mr Roughsedge asked us to read through and update the school rules today, since they hadn’t been updated since 2015! Our council members were excited to make a positive impact on the school and came up with new rules as well as refreshing some of the longer standing ones. We’re all very excited for our upcoming trip to UEA to interview nursing applicants! We’ve been prepping ahead of time – making sure we ask questions succinctly and with interest. We had two important items to discuss today. Firstly Wendy the cook came in to ask for our help regarding her idea for a salad bar for self-service at lunchtimes. She showed us concept art for the salad bar and explained her plans for a trial run for a few weeks. She requested we go back to our classes and gather feedback on the idea of a salad bar, plus to brainstorm some possible fruits and vegetables to actually put in the salad bar. Secondly, Mrs Sheppard has asked school council to come up with ideas for the upcoming term topics (similar to our current Poetry in Motion.) School council will be asking their respective classes for ideas to report back next week. 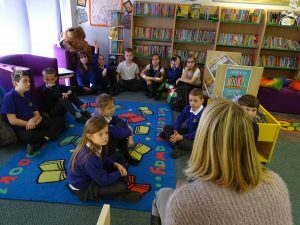 The School Council met the school governor Rachael Howard to ask questions about her role on the governing body. 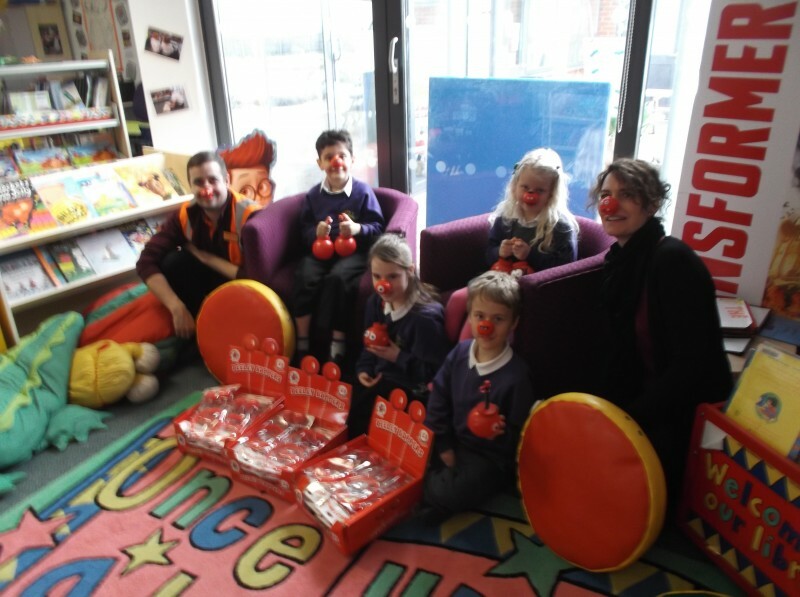 Wyvil and Vauxhall Primary School Council visit Queen’s Hill Primary School. As part our our links with our London Challenge school, their school council came to visit our school and stay in the school library. They presented to our school council and visited Cromer, Castle Museum and Norwich Cathedral during their stay. 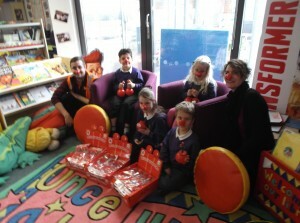 The school council, during morning break, have sold red noses and other merchandise this week as part of Comic Relief. 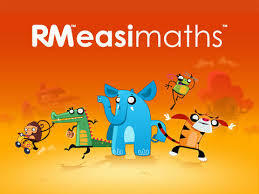 Thanks to the support from Sainsbury’s they raised £312.00. Well Done and thank you to everyone who purchased merchandise.